Do I hear “Camptown Races” in the background? 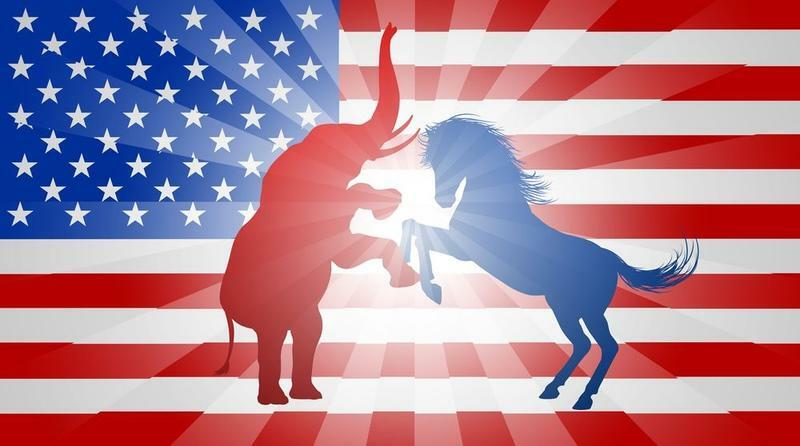 With five days left in this election season, we have, somewhat improbably, a horse race. The jockeys aboard are Access Hollywood, for the Democrats, and Wikileaks, for the Republicans. One is more noted for covering the doings of Kim Kardashian. The other is Russian. Is this campaign making any more sense to you than it is to us? Gildshire Magazines has read dystopian novels more realistic. What are the candidates thinking? What comforts them? What keeps them up at night? Here’s the rundown. Secretary Clinton: What is she thinking? That the finish line can’t come soon enough. Her horse is leaking oil down the stretch. What comforts her? All of the legitimate polls show her as the probable winner. What keeps her up at night? No matter what she or any of her people say, the race seems to tighten. No matter how her opponent gaffes, the race seems to tighten. No matter how often President Obama and his 55% approval rating says, “Come on, people,” the race seems to tighten. Mr. Trump: What is he thinking? That he wishes there was another month of the campaign. His horse is full of run with a furlong to go. What comforts him? Win or lose he has awakened a group of people who believe themselves to be aggrieved and overlooked. Millions of people are going to vote for him. How many businessmen have been able to say that? What keeps him up at night? He could have run a better campaign against a vulnerable foe. His recent, more optimistic ads have resonated with the voters. Why, oh why, did he waste time and energy in feuds with American judges with Mexican heritage, Gold Star generals, latina Miss Universe winners, and Megyn Kelly? Gary Johnson (Libertarian): What is he thinking? He would like to see a “10” beside his percentage number come Tuesday night. What comforts him? Not much, at this point. Why? Because of what keeps him up at night. This should have been the year of the third party. This should have been the year the Libertarians (and, to a certain extent, the Green Party) stood up and said, “Take a look at a viable alternative to the two jokers in the major party decks. This was the year a third-party candidate could have, and should have, polled 15%, 20%, 25%, even 30%. Instead, Mr. Johnson’s shocking ignorance of foreign cities and foreign leaders blew his hopes off the racetrack. With less than a week to go, Gildshire ponders one question. Is the race really all that close? After all, CNN, MSNBC, and Fox News want as many eyes on their screens as possible. If Secretary Clinton wins by 6-8 points we will wonder if we were watching a false race. If she wins by a point or two, or if Donald Trump wins, we will know the tightening race is real. Either way, we’ll be watching. We know, you will too.